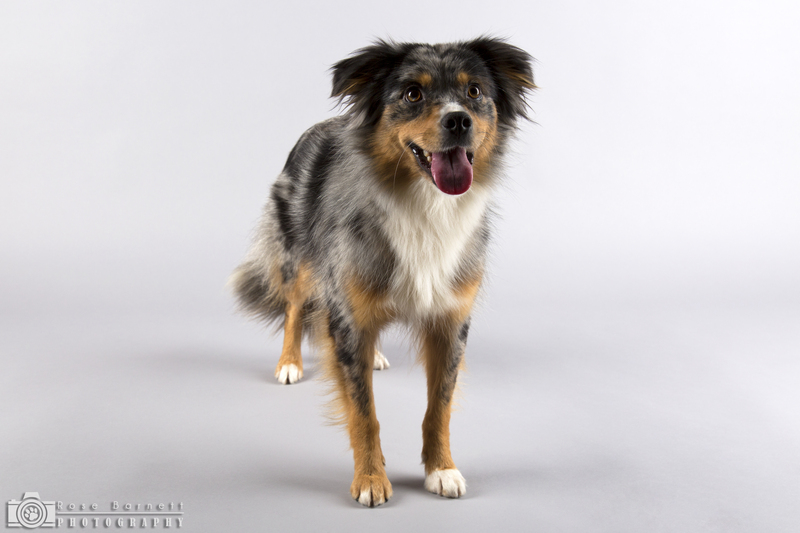 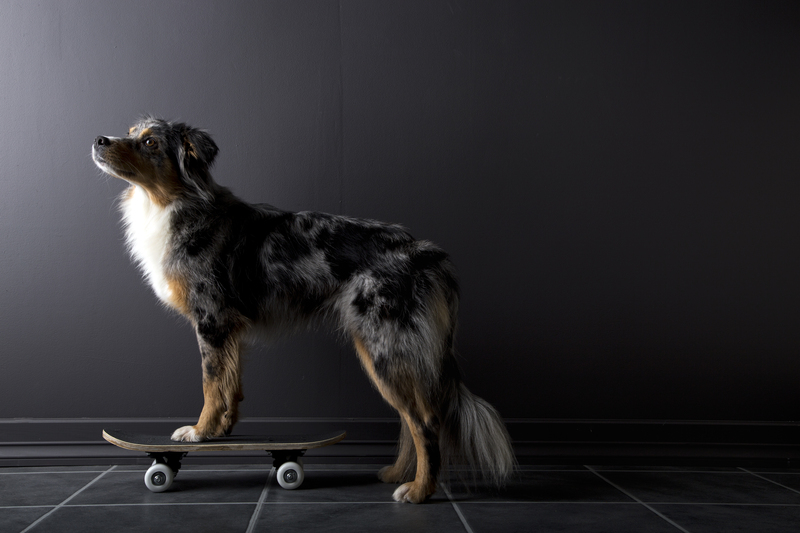 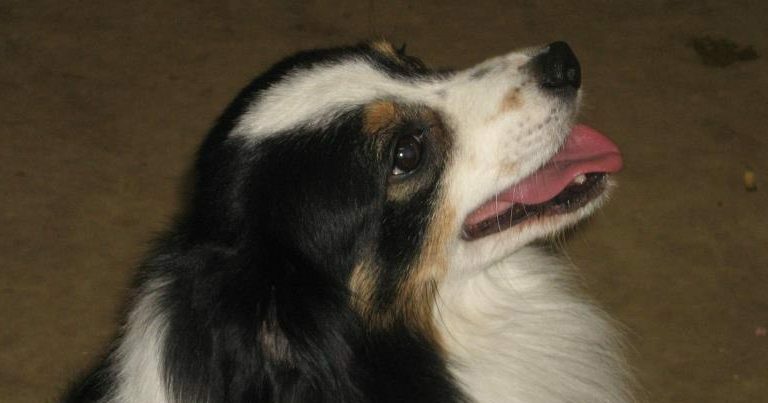 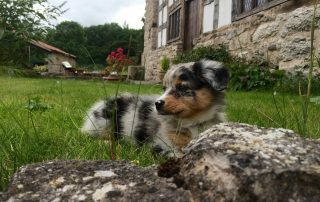 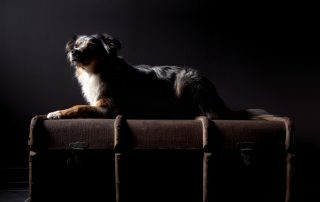 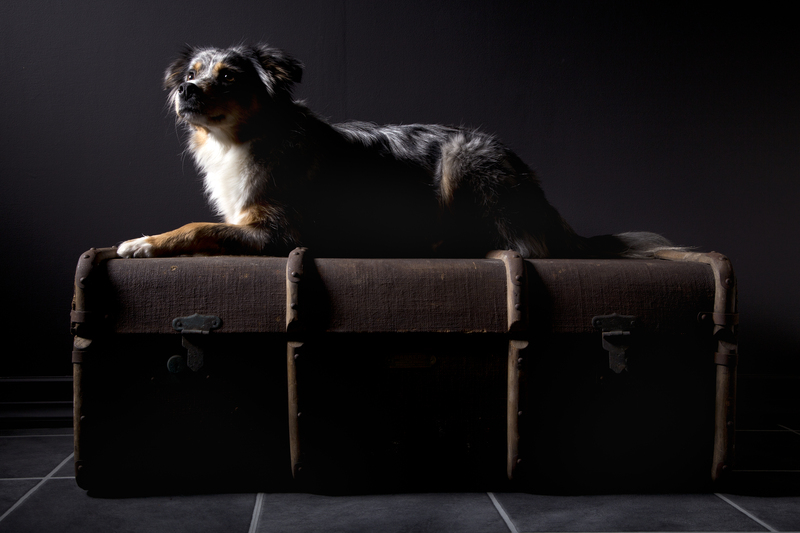 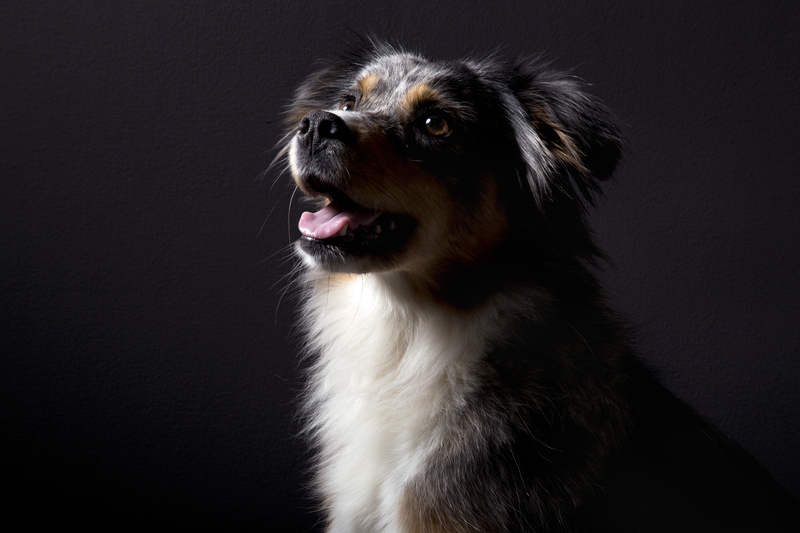 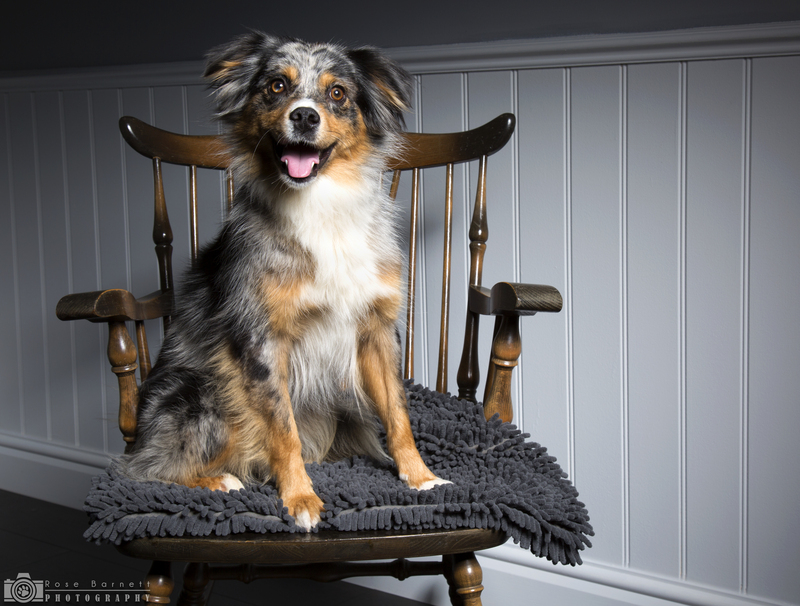 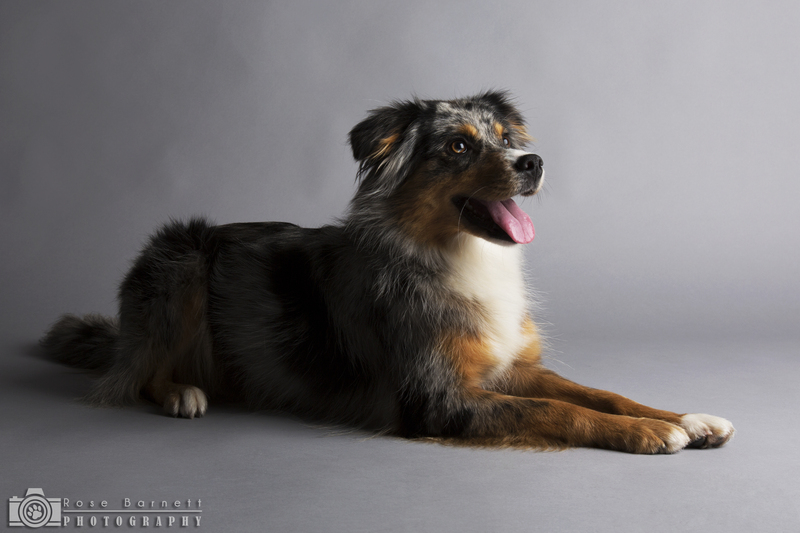 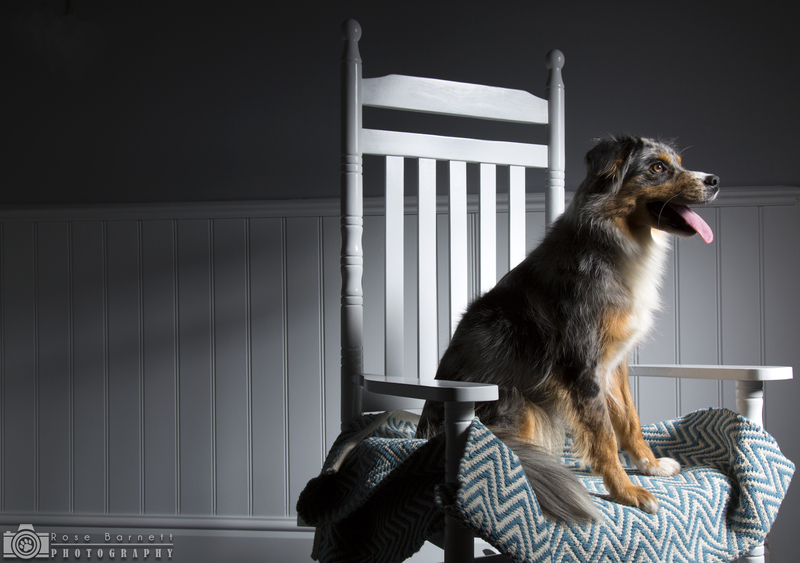 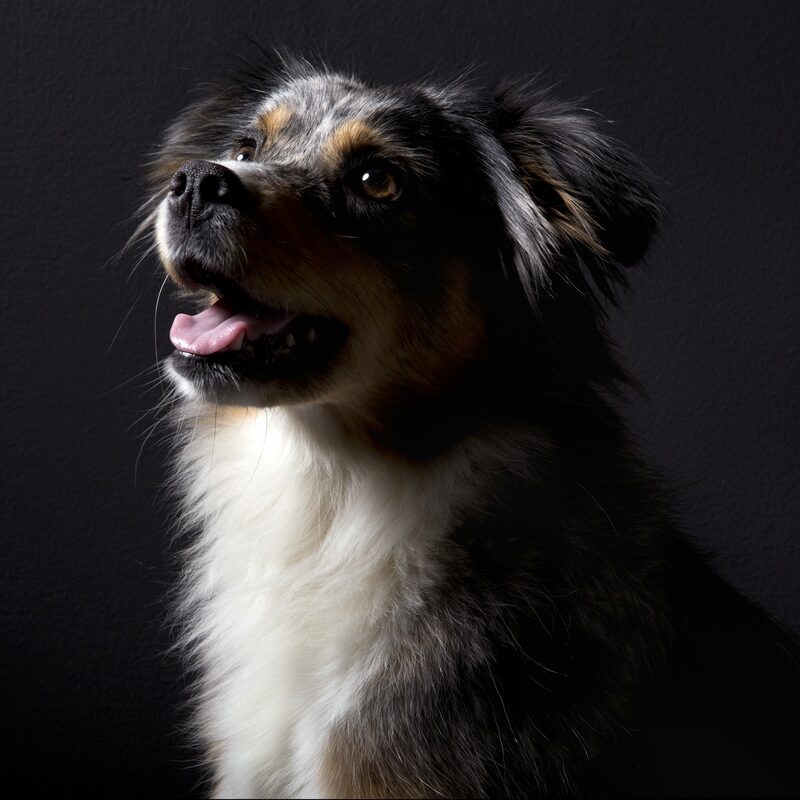 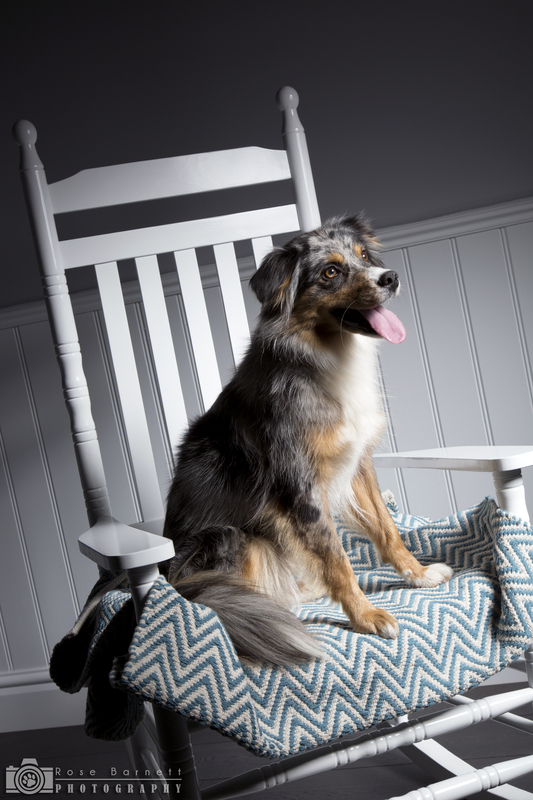 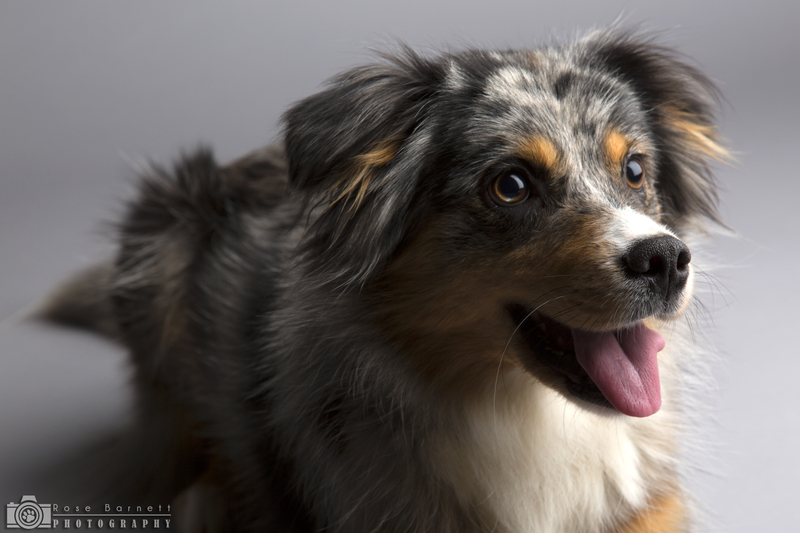 Marvel was bred by Ivormyth Miniature American Shepherds (formally Ivorred) in the UK. 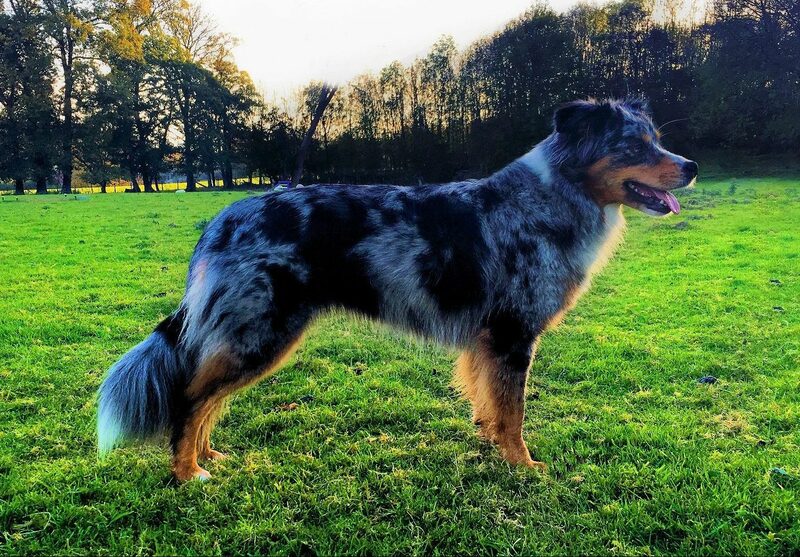 She is fun, loyal and a real joy to own. 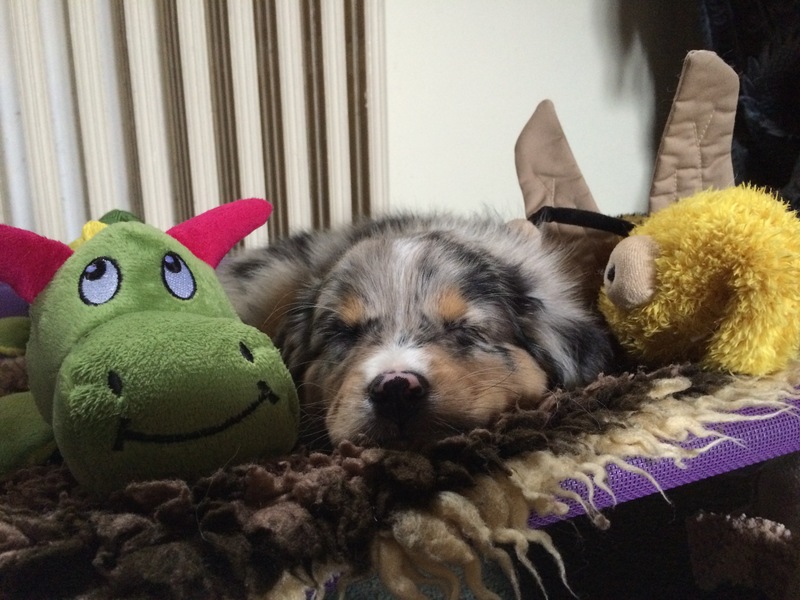 Marvel has a great work ethic, high drive, and enthusiasm for life. 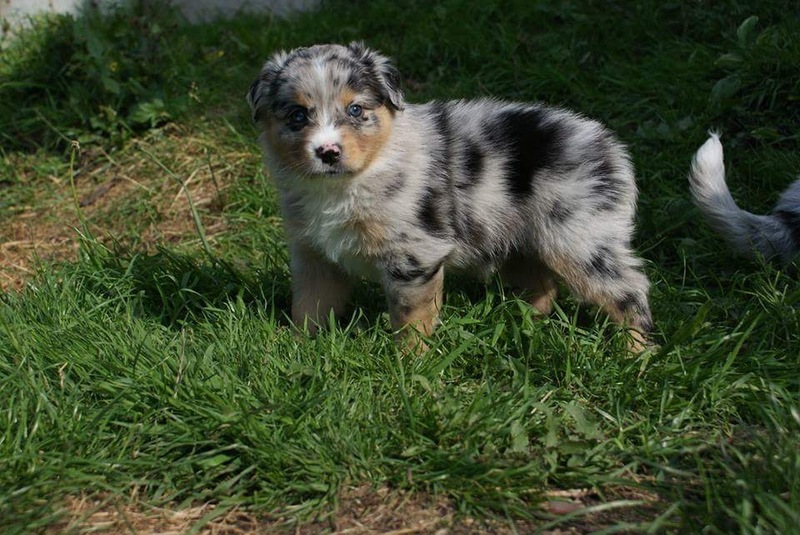 She is a much loved member of the family and has a perfect temperament around livestock. 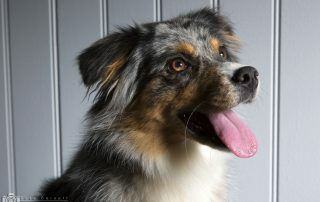 Her favourite activities are trick training and agility, but she’s highly versatile and can turn her paw to anything. 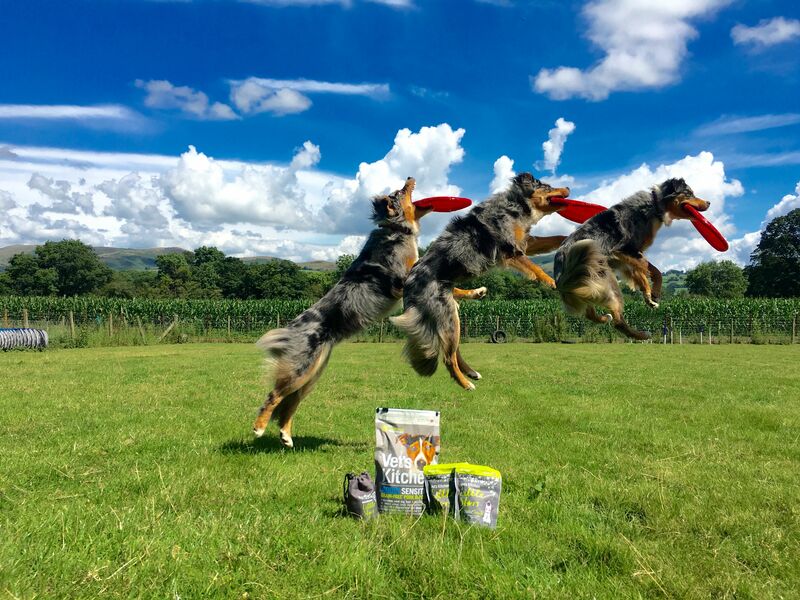 With an athletic build and fantastic jumping style, Marvel is a natural sporting dog. 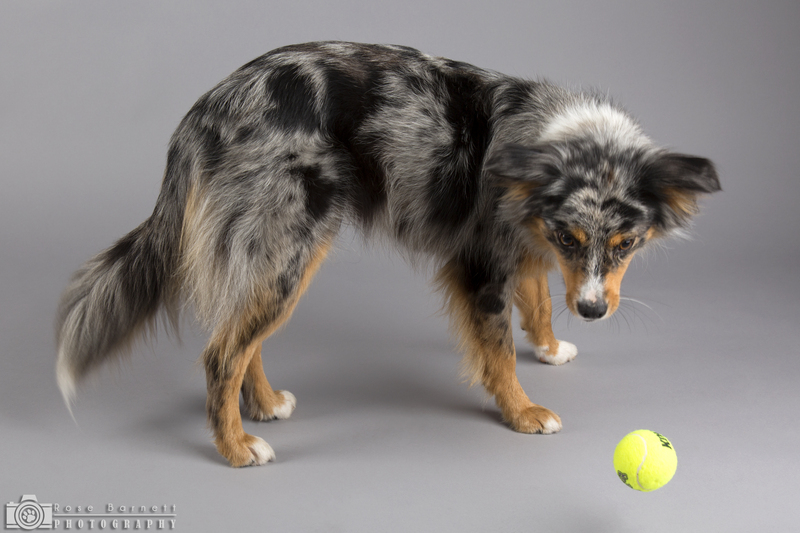 Marvel measured 41.1 cm at 19 months, and received 39.3 cm for her official UKA agility measure at 2 years. 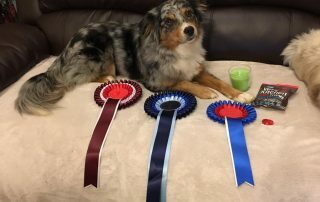 She was a member of UKMASC’s Crufts Qualifier Team in 2017. At just 4 months old Marvel won the UK’s Family Pet Show trick competition, followed by overall dog of the show for her tricks. 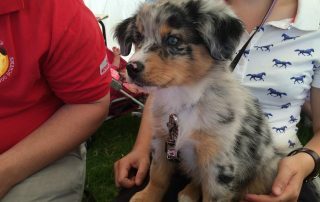 By 9 months old Marvel was a member of the Kennel Club’s Puppy Display Team at Crufts, 2016. 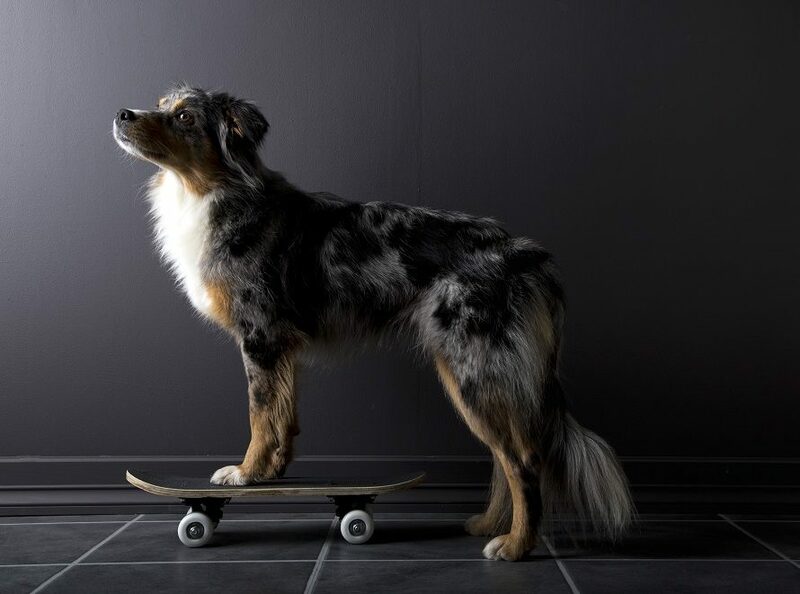 In 2017 she won the UK Trick Dog Association’s 4 week long trick training competition with skills such as climbing a ladder, playing musical chairs and going shopping (pushing a trolley and put items in it). In January 2018 Marvel was invited to audition for Britain’s Got Talent. 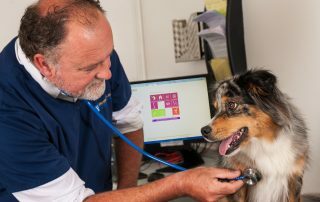 Tested by Orivet. 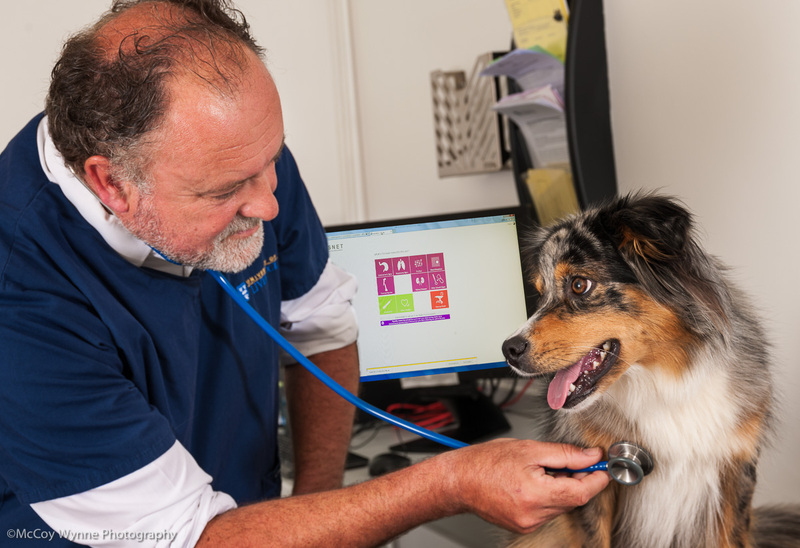 M-Locus testing by Vemodia. 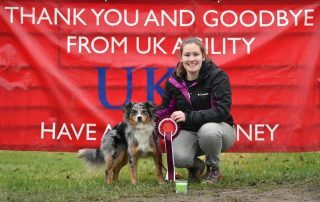 Marvel achieved her Kennel Club Good Citizen Dog Scheme gold award and has performed in KC display teams at Crufts. 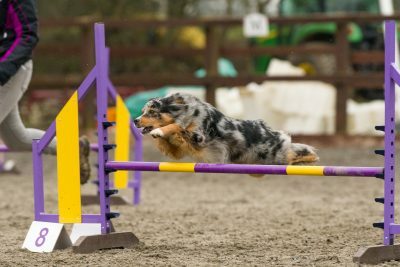 Marvel competed at her first Rally Obedience show in June 2017, strutting her stuff and obtaining a perfect qualifying score. 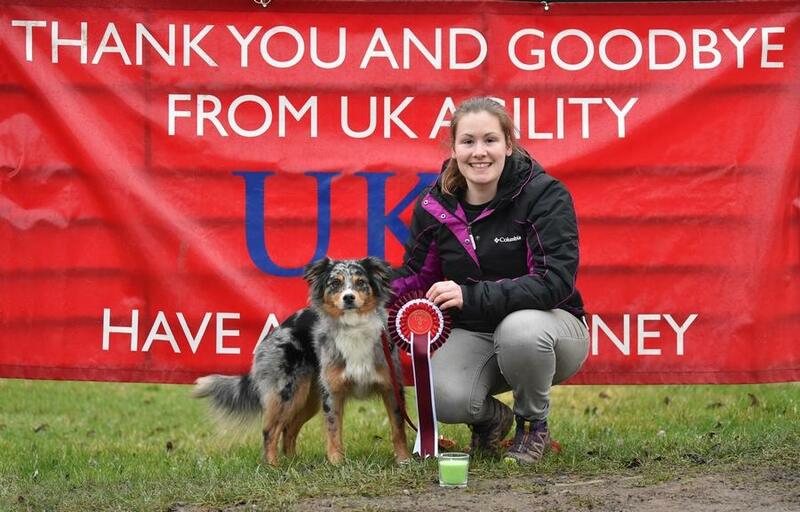 Marvel began competing in 2017 and was a member of UKMASC’s Crufts Qualifier Team. 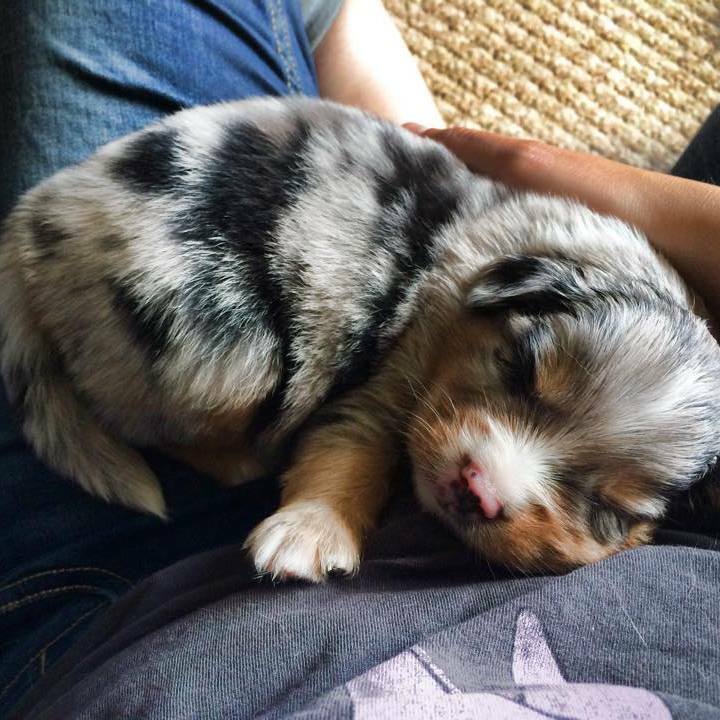 She measures medium. 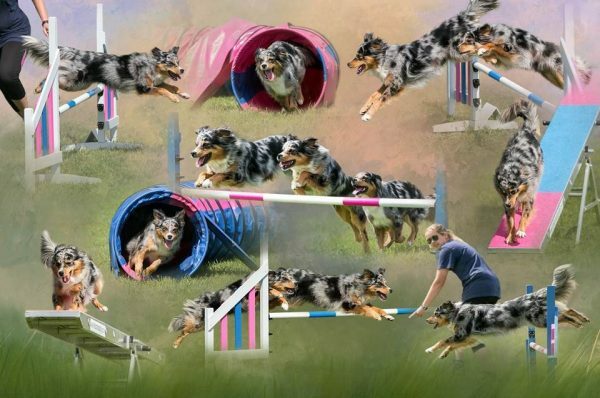 Marvel loves trick training – she is in Freestyle Starters and is working towards her AKC Trick Dog titles. 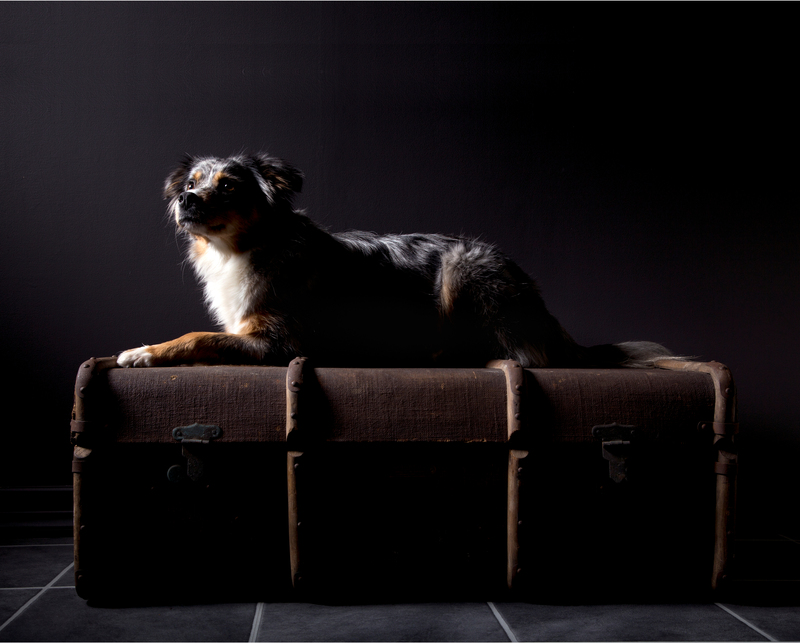 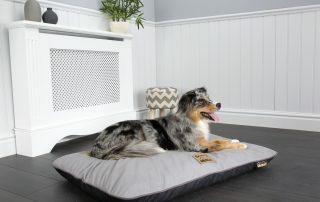 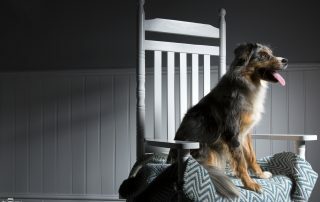 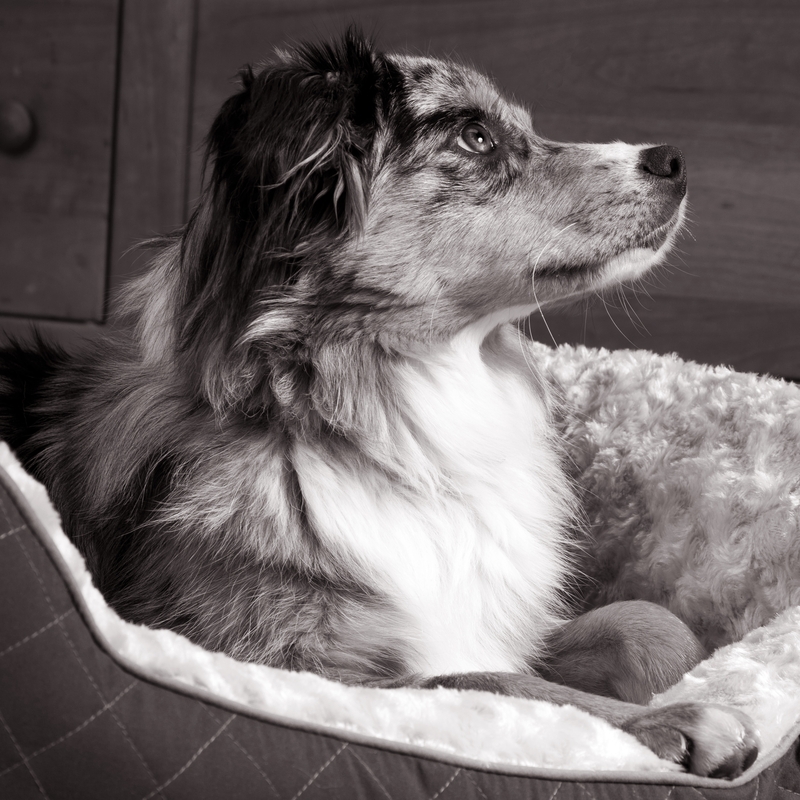 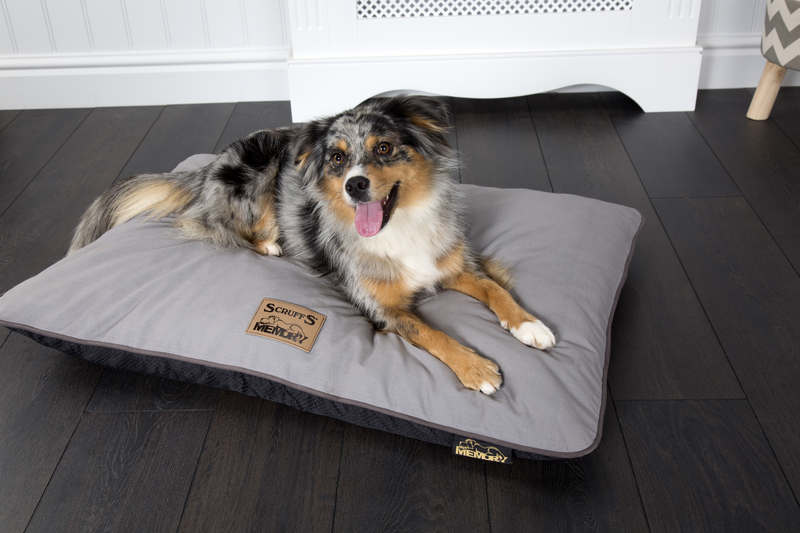 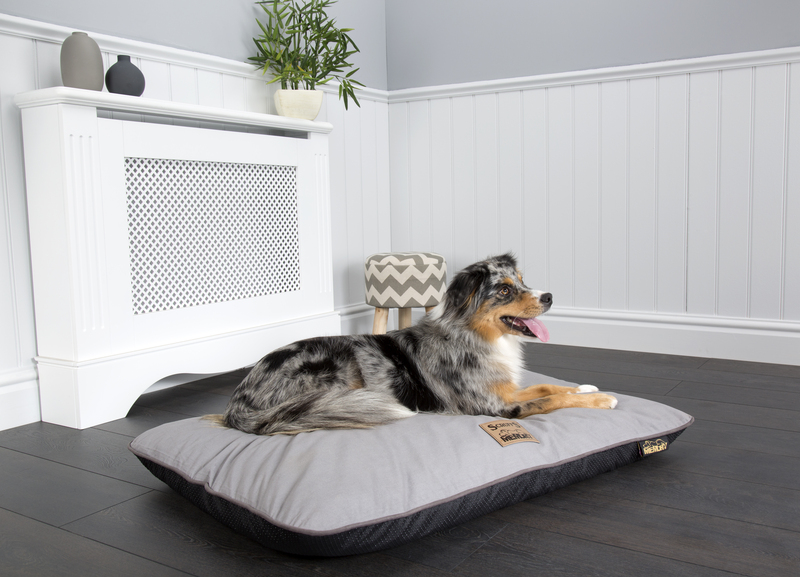 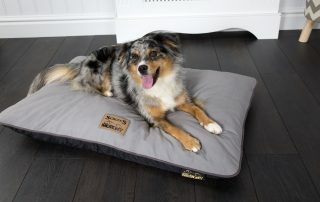 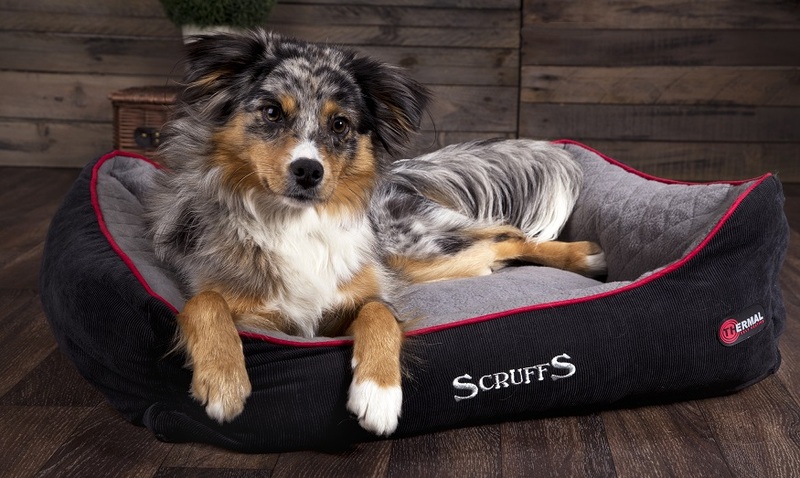 Marvel has modelling for a number of brands – most notably Scruffs Dog Beds. 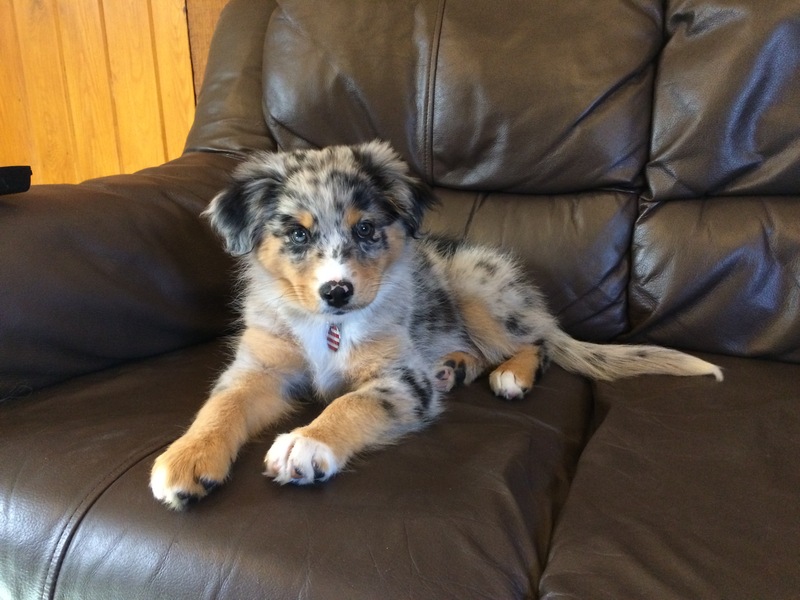 She loves the camera! 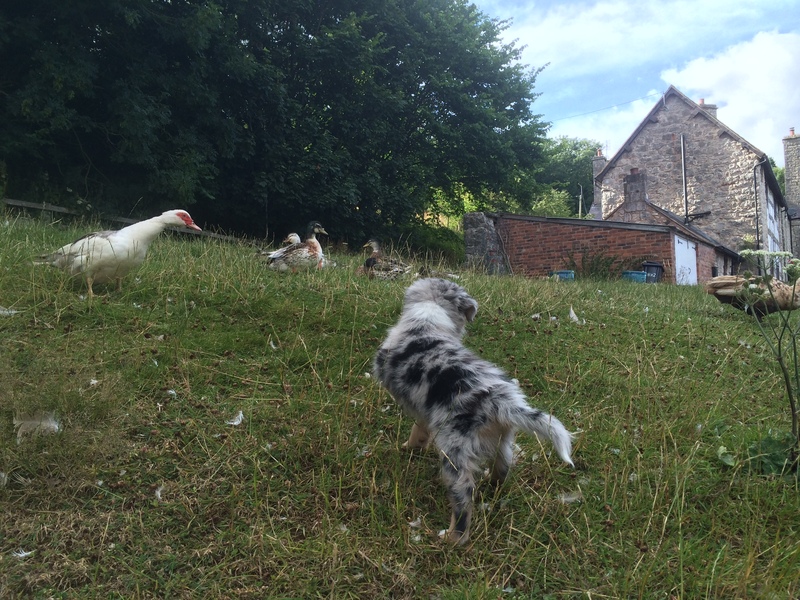 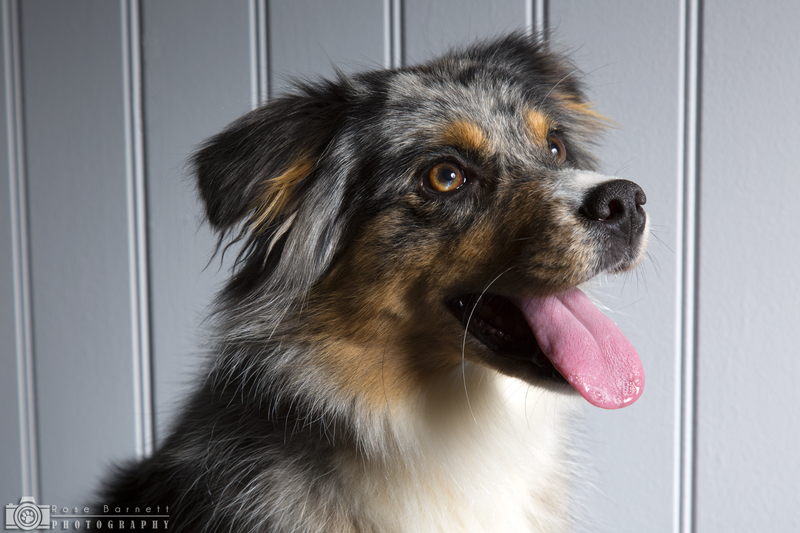 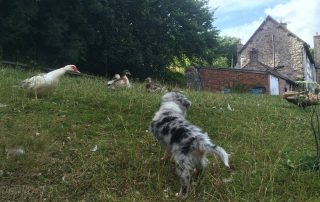 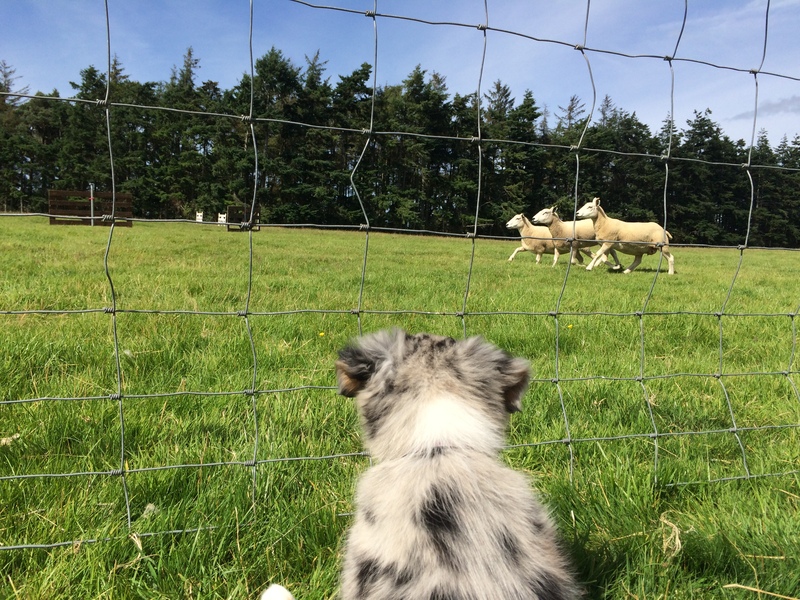 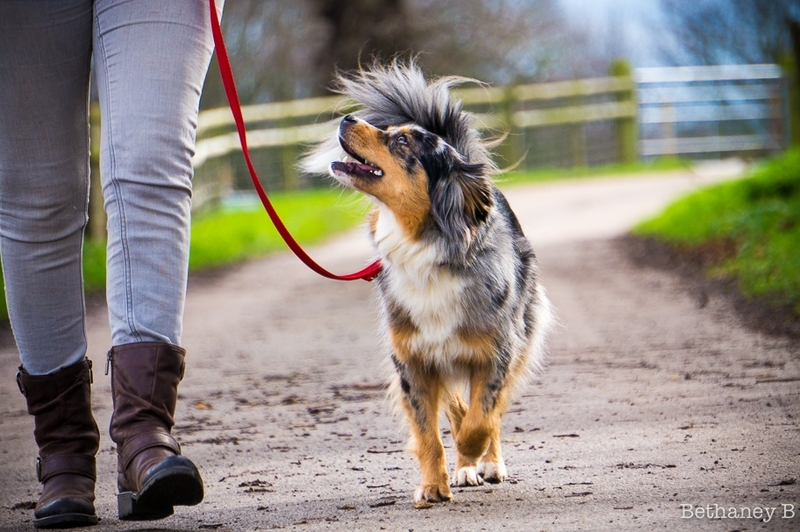 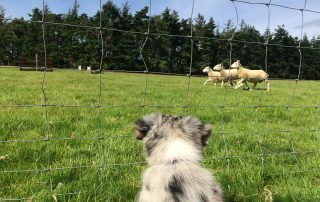 Marvel lives on a farm with sheep and ducks – she has a very natural herding ability. 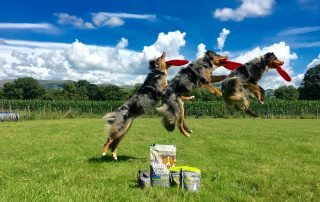 Marvel loves to work for a frisbee and we can combine her love of tricks with frisbee work. 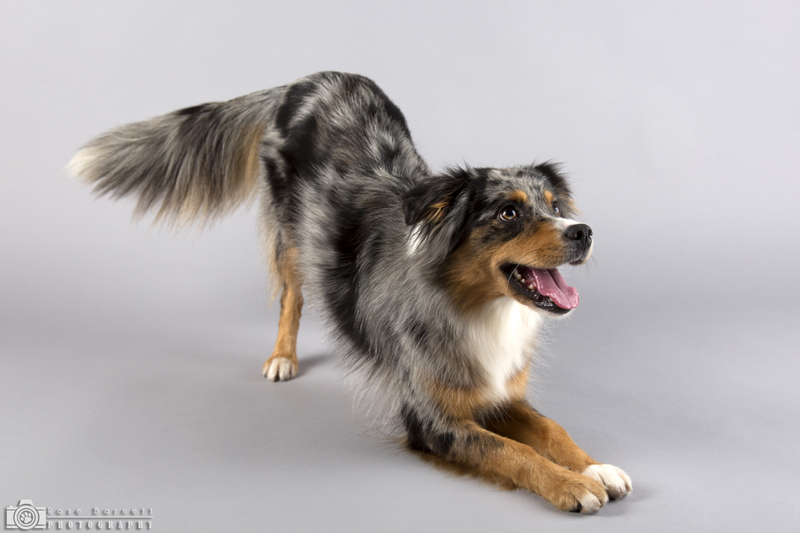 Marvel was born in the UK, but stems from original US MAS lines. 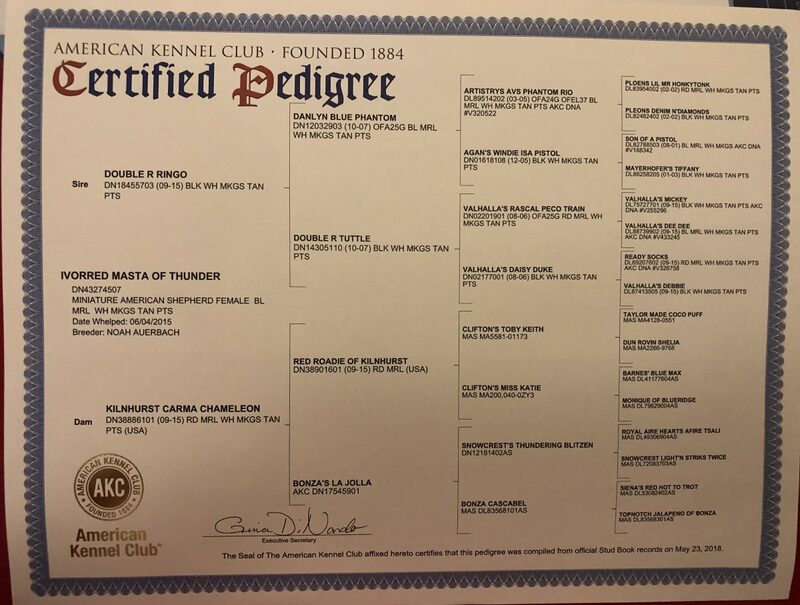 Her sire, Ringo, stands at 38cm and is a US import. 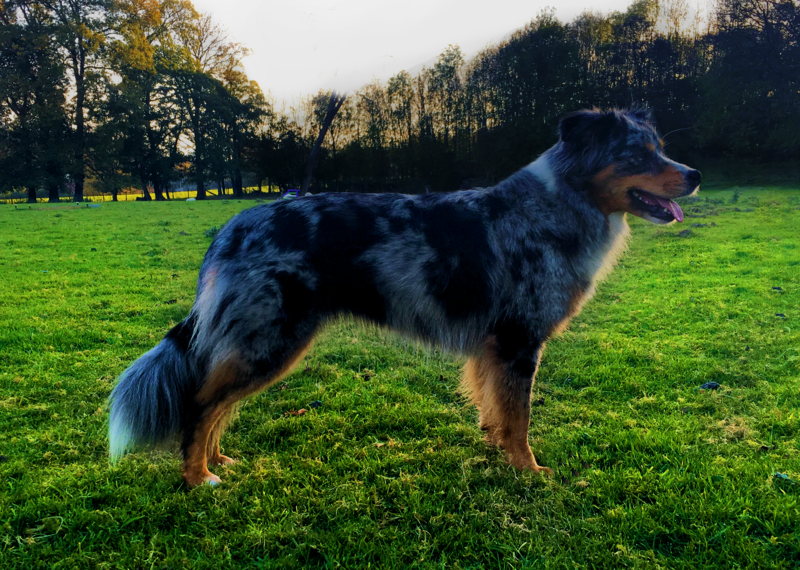 His is full of old, original, mini lines and gives good structure, bone and coat to his pups. 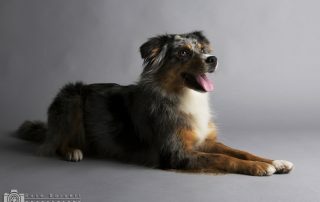 Marvel’s dam, Koda, was produced from 2 of the UK’s first MAS imports from the USA. She competes in agility at G5 and boasts a fantastic temperament and work ethic. 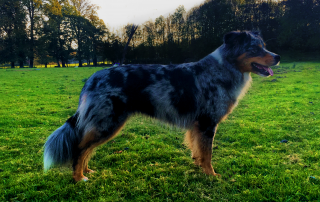 Marvel had a litter with Carpe Diem Simpson (Simpson) an outside stud dog in Autumn 2018. 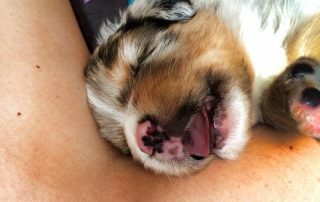 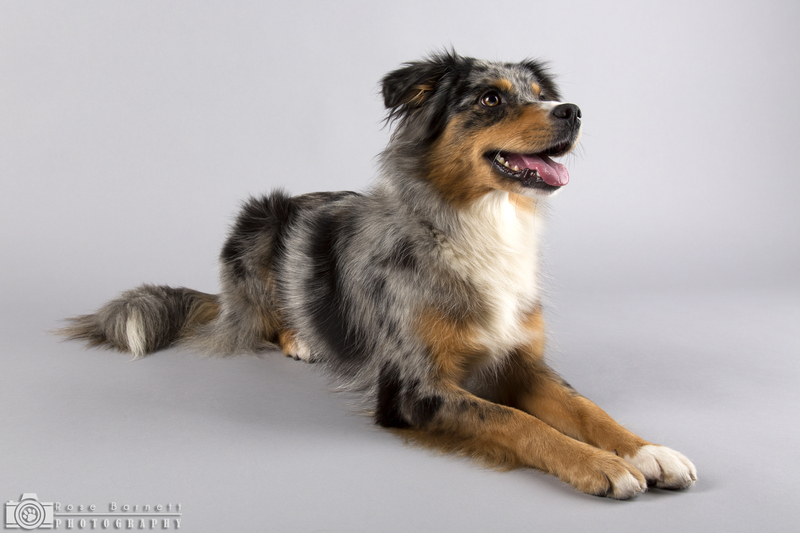 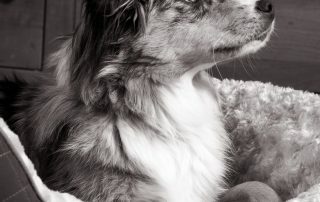 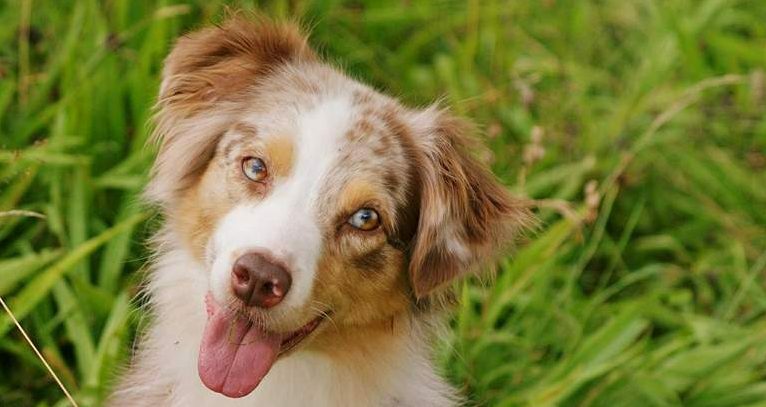 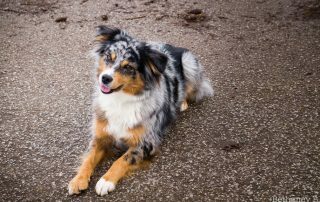 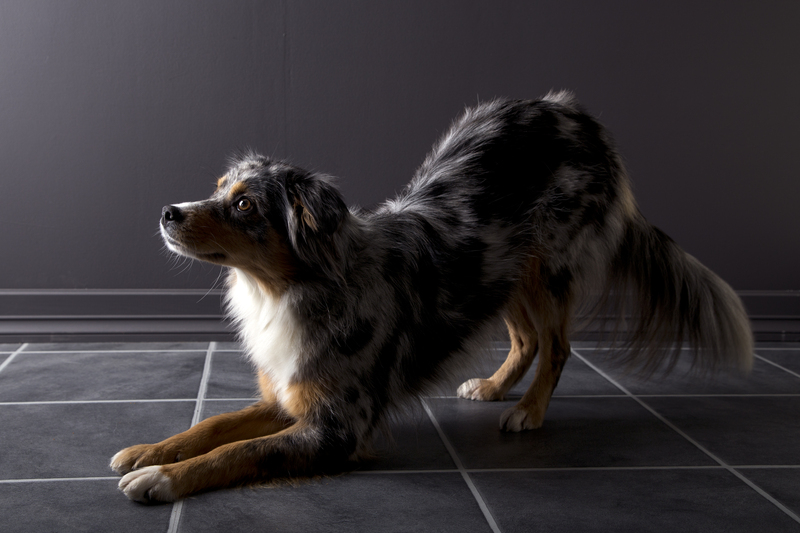 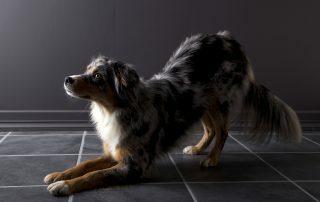 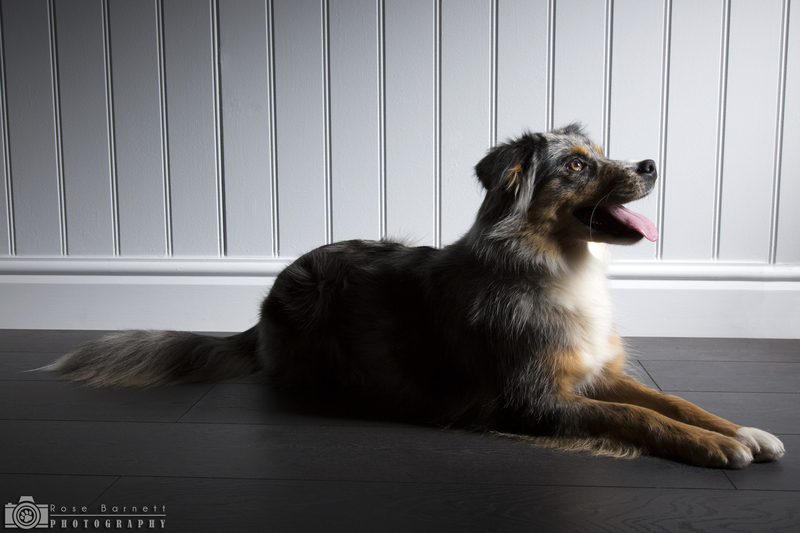 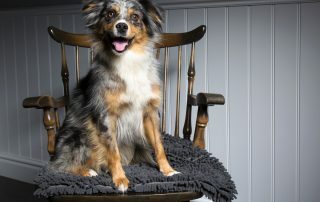 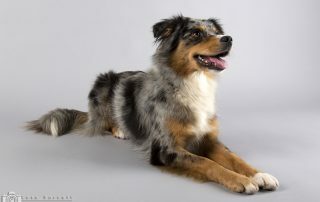 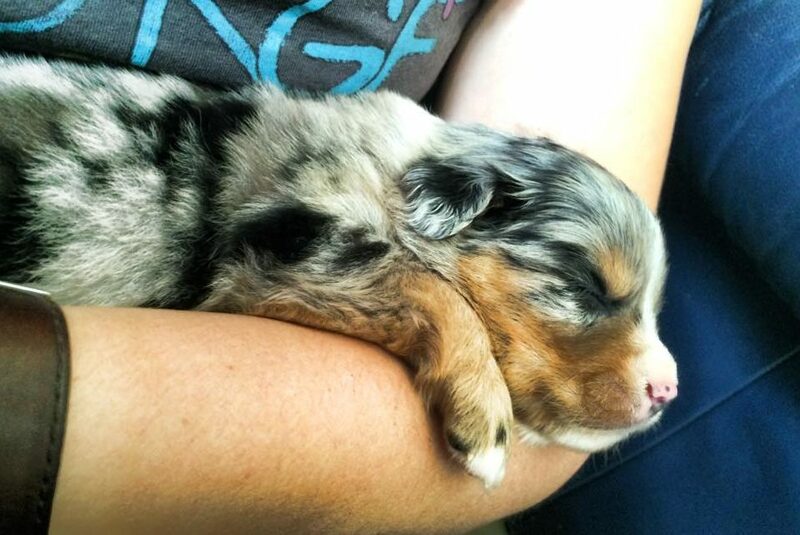 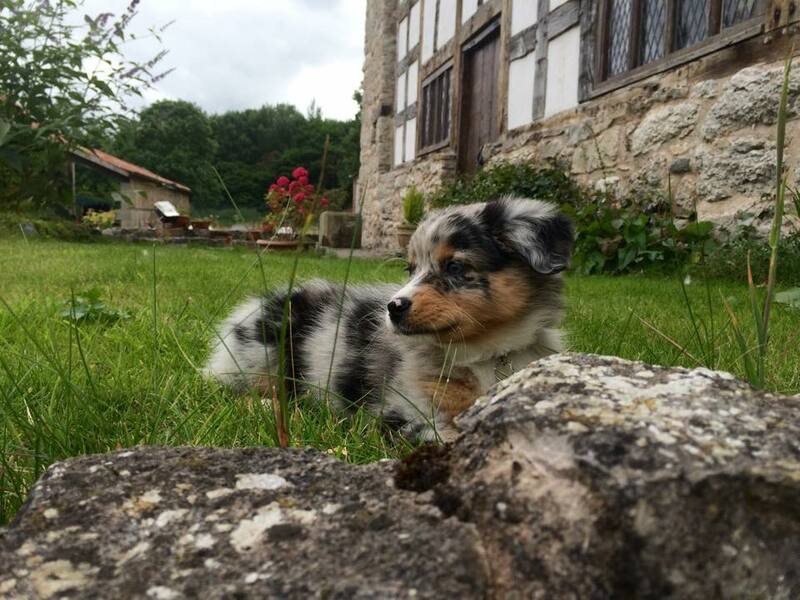 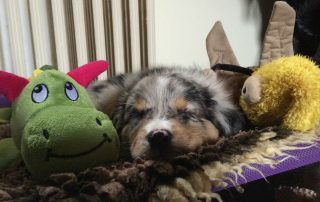 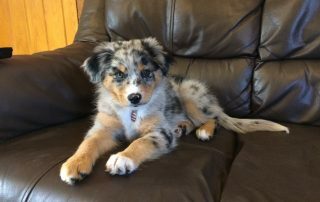 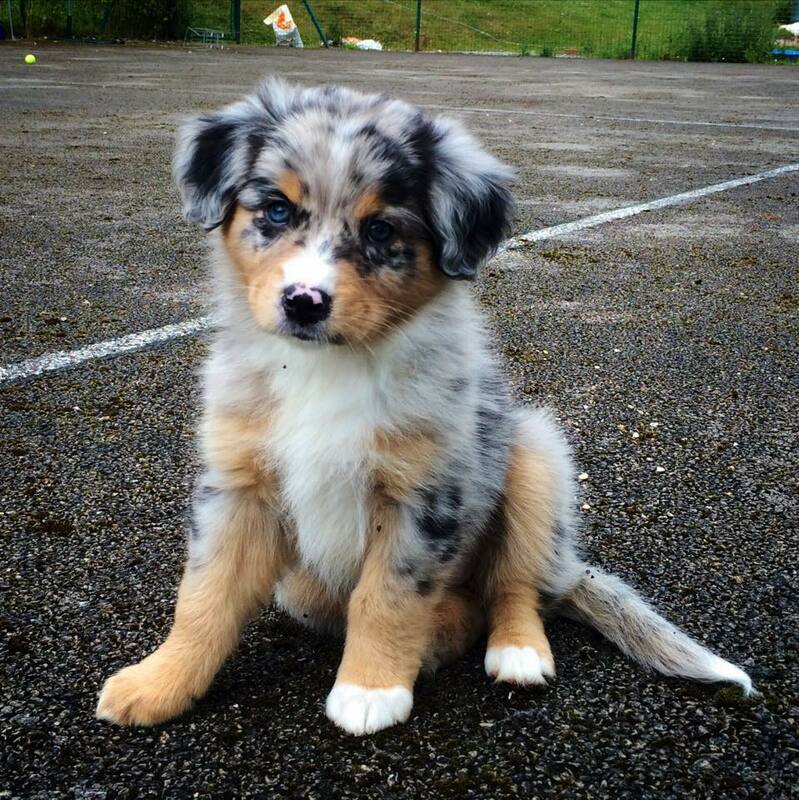 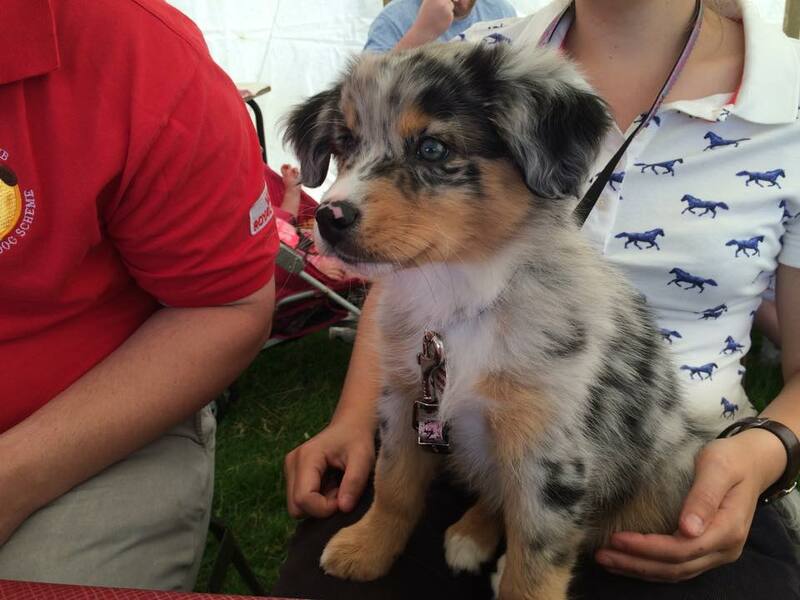 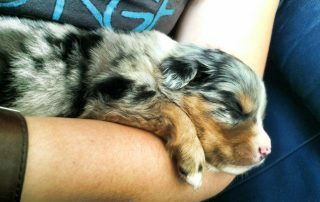 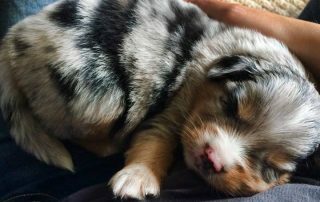 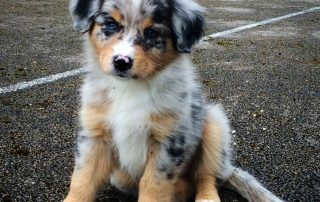 Both litters will have the possibility of producing all colours (black tri, red tri, blue merle & red merle) and will be suitable for sporting homes – whether heelwork to music, agility or obedience; as well as working homes – working livestock, search and rescue or similar; show homes and active pet homes. 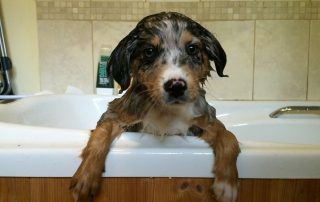 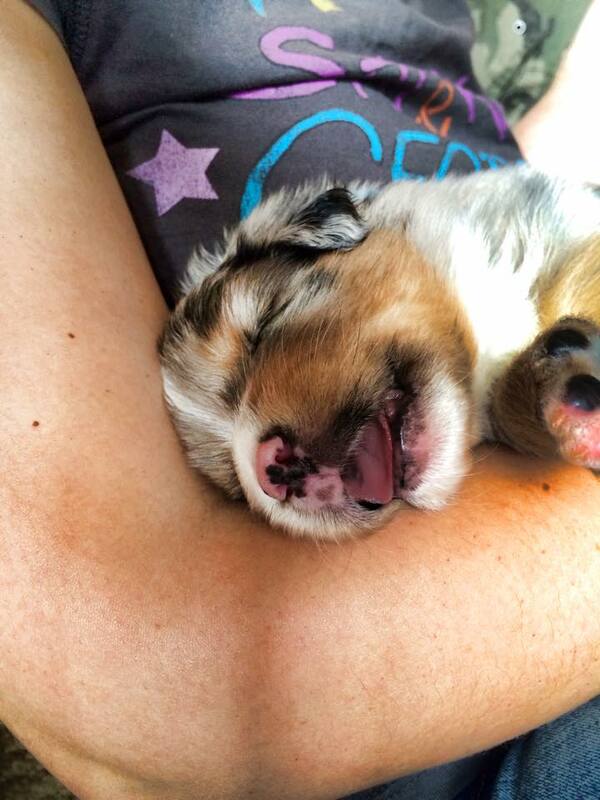 All puppies will be evaluated prior to being placed. 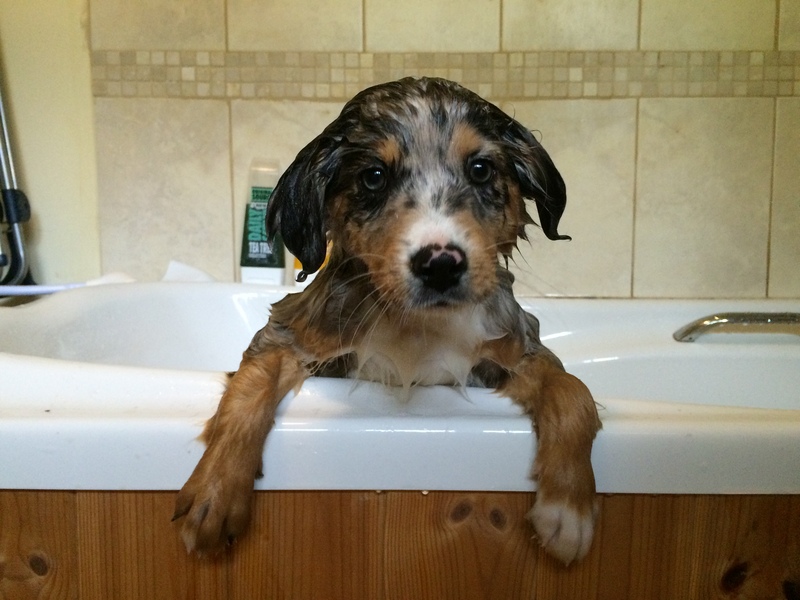 All plans are subject to change – please contact us to be kept up-to-date.